This is a seven steps jigsaw puzzle square format ppt powerpoint presentation portfolio portrait. This is a seven stage process. The stages in this process are 5 pieces jigsaw puzzle, 5 parts jigsaw puzzle, 5 segments jigsaw puzzle. 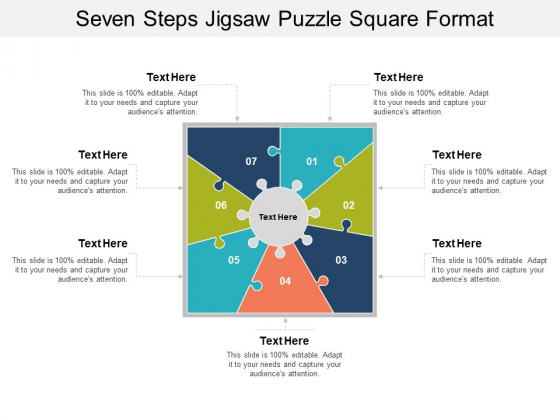 With our Seven Steps Jigsaw Puzzle Square Format Ppt PowerPoint Presentation Portfolio Portrait there is no end. They will take you even further. 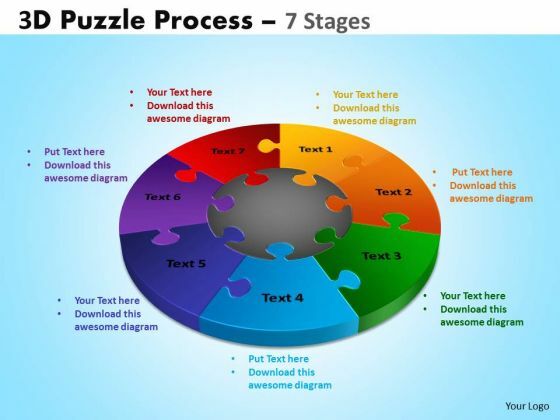 This is a seven steps jigsaw puzzle pieces ppt powerpoint presentation infographics graphics. This is a seven stage process. The stages in this process are 5 pieces jigsaw puzzle, 5 parts jigsaw puzzle, 5 segments jigsaw puzzle. 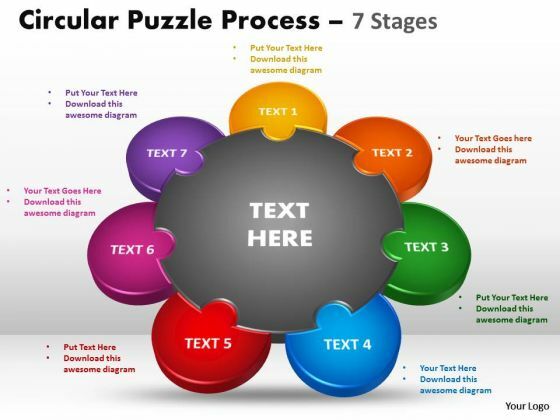 There is no destination too far for our Seven Steps Jigsaw Puzzle Pieces Ppt PowerPoint Presentation Infographics Graphics. They willget you there within a jiffy. 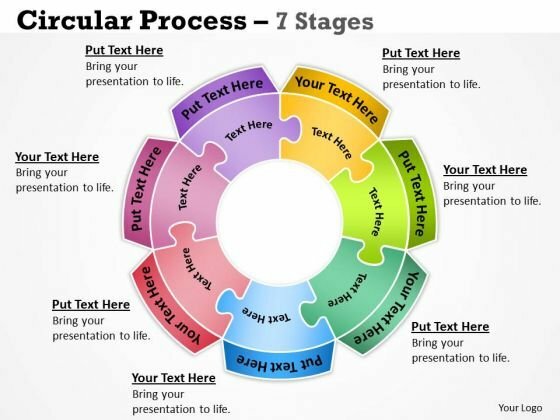 This is a seven stages circular puzzle process ppt powerpoint presentation styles topics. This is a seven stage process. The stages in this process are 5 pieces jigsaw puzzle, 5 parts jigsaw puzzle, 5 segments jigsaw puzzle. 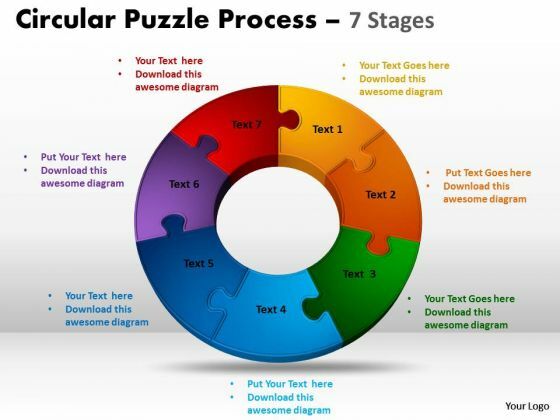 Far is no problem for our Seven Stages Circular Puzzle Process Ppt PowerPoint Presentation Styles Topics. They will cover any distance with you. 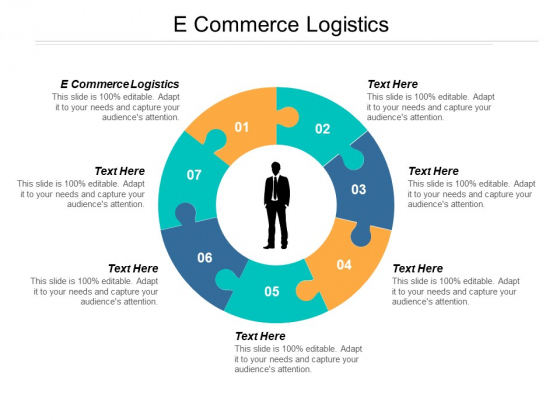 This is a e commerce logistics ppt powerpoint presentation summary objects. This is a seven stage process. The stages in this process are e commerce logistics. Earn big like a lottery with our E Commerce Logistics Ppt PowerPoint Presentation Summary Objects. Luck is bound to be in your favor. 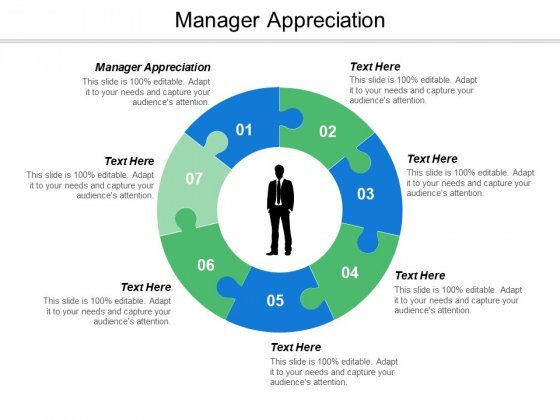 This is a manager appreciation ppt powerpoint presentation ideas graphics design cpb. This is a seven stage process. The stages in this process are manager appreciation. Ensure the loyal get the credit with our Manager Appreciation Ppt PowerPoint Presentation Ideas Graphics Design Cpb. Insist on their devotion being duly appreciated. 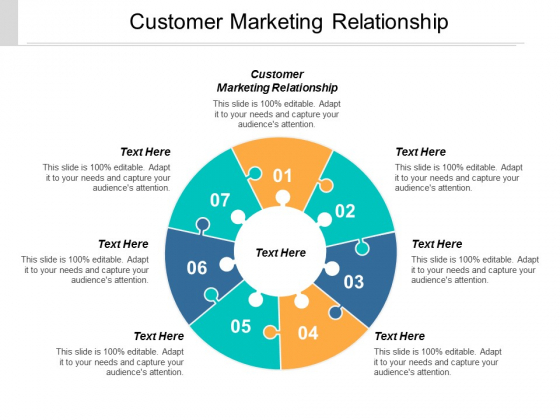 This is a customer marketing relationship ppt powerpoint presentation gallery example topics cpb. This is a seven stage process. 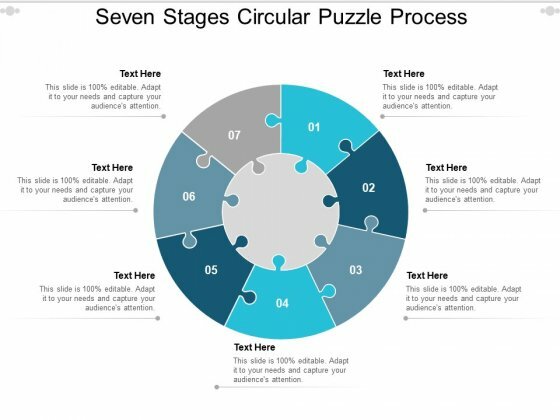 The stages in this process are customer focused marketing. Ensure folks keep improving on the job with our Customer Marketing Relationship Ppt PowerPoint Presentation Gallery Example Topics Cpb. Insist on them learning from the lows. This is a market assessment powerpoint presentation examples. This is a seven stage process. The stages in this process are market assessment, customer needs, external environment, competitive analysis, communication and implementation, marketing plan development, differentiated market strategy. 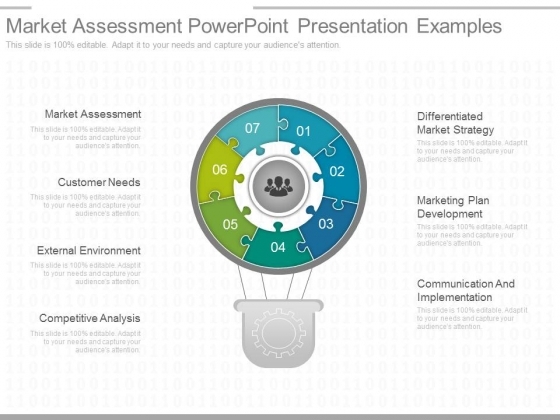 Improve your organization with our Market Assessment Powerpoint Presentation Examples. Download without worries with our money back guaranteee. This is a key account management illustration powerpoint guide. This is a seven stage process. The stages in this process are control function, business relations, negotiating and coordinating, special customer requirements, planning, market position, customer contracts. Give them more than they expect of you. 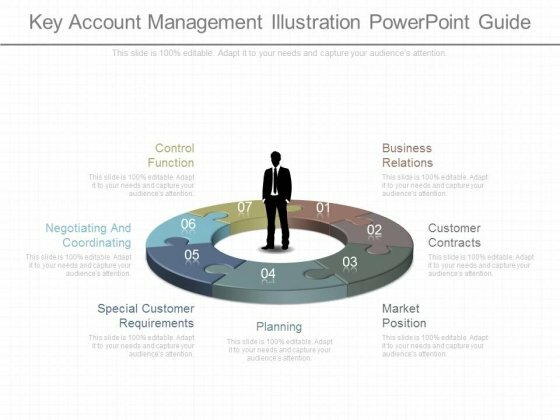 Add to the bounty with our Key Account Management Illustration Powerpoint Guide. 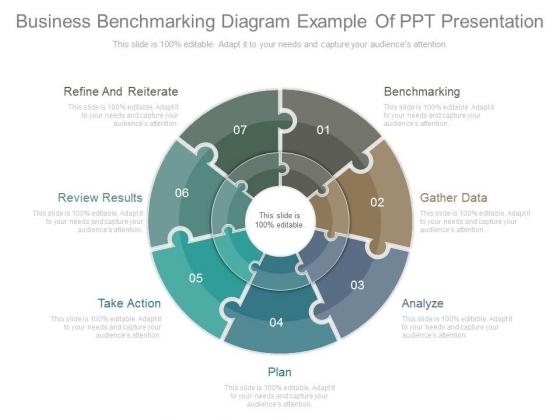 This is a business benchmarking diagram example of ppt presentation. This is a seven stage process. The stages in this process are refine and reiterate, review results, take action, plan, analyze, gather data, benchmarking. Our Business Benchmarking Diagram Example Of Ppt Presentation are really considerate. They give everyone equal attention. 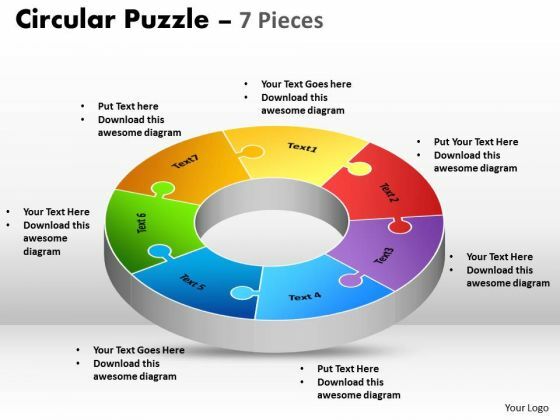 Our above PPT slide contains circular puzzle design. 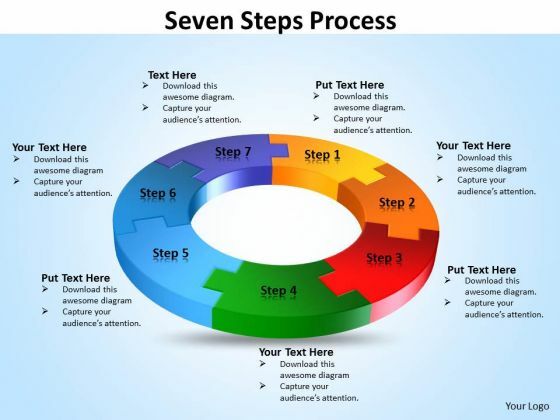 This business diagram helps to depict seven business steps in circular flow. Use our creative PowerPoint template to lay down your views. 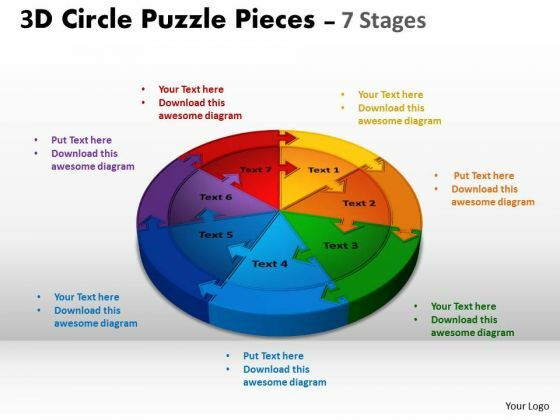 Making plans with our Circular Puzzle Design With Seven Steps Powerpoint Slides entails success. They ensure automatic returns. 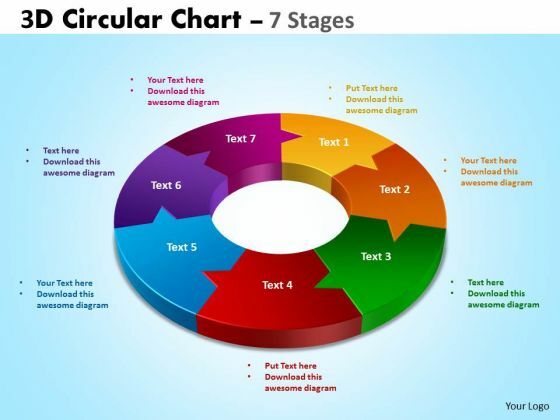 Analyze Ailments On Our Business Cycle Diagram Circular Promotion Chart 7 Stages Business Diagram Powerpoint Templates. Bring Out The Thinking Doctor In You. 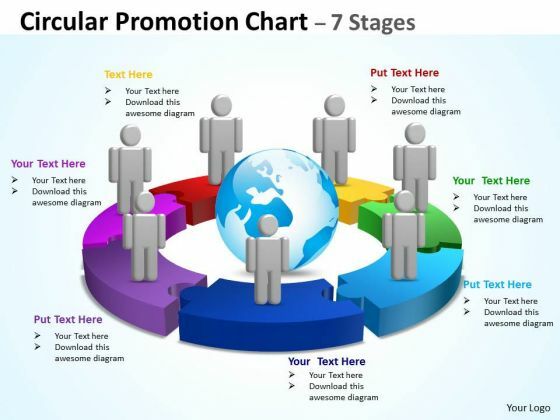 Dock Your Thoughts With Our Business Cycle Diagram Circular Promotion Chart 7 Stages Business Diagram Powerpoint Templates. They Will Launch Them Into Orbit. 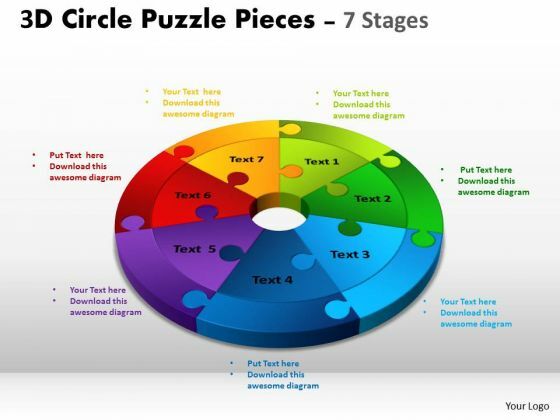 Connect The Dots With Our Strategic Management Circular Puzzle 7 Pieces Consulting Diagram Powerpoint Templates. Watch The Whole Picture Clearly Emerge. 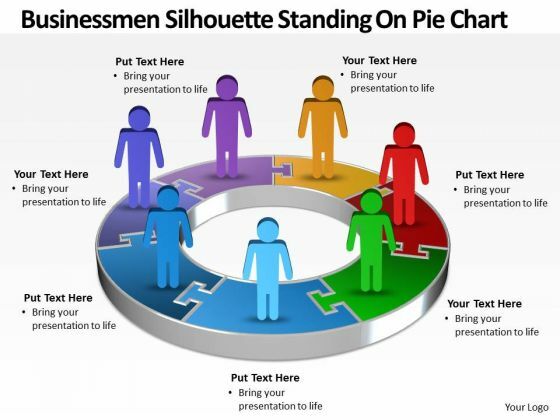 Knock On The Door To Success With Our Strategic Management Business Men Silhouettes Standing On Pie Chart Business Diagram Powerpoint Templates. Be Assured Of Gaining Entry. Our Strategic Management 3d Cycle Process Flow Chart 7 Stages Sales Diagram Powerpoint Templates Deliver At Your Doorstep. Let Them In For A Wonderful Experience. 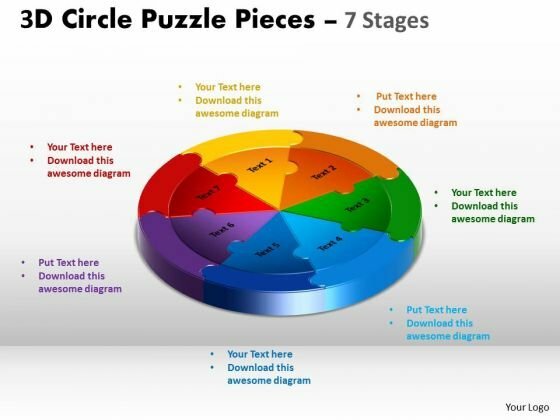 Deliver The Right Dose With Our Strategic Management 3d Circle Puzzle Diagram 7 Stages Business Diagram Powerpoint Templates. Your Ideas Will Get The Correct Illumination. 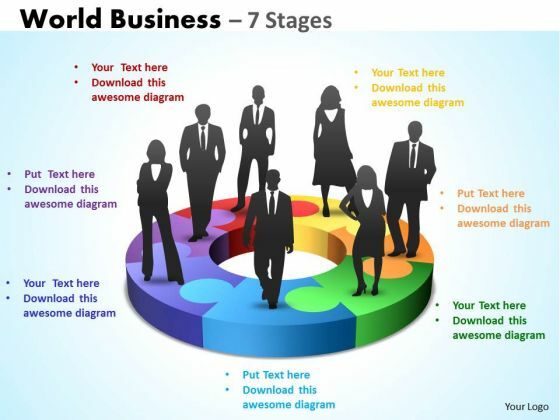 Our Sales Diagram World Business 7 Stages Consulting Diagram Powerpoint Templates Abhor Doodling. They Never Let The Interest Flag. Open Up Doors That Lead To Success. 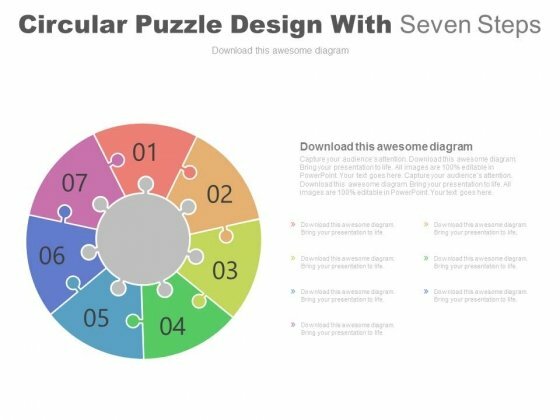 Our Sales Diagram 7 Components Circular Puzzle Process Business Finance Strategy Development Powerpoint Templates Provide The Handles. Be A Donor Of Great Ideas. Display Your Charity On Our Mba Models And Frameworks Seven Steps Process Consulting Diagram Powerpoint Templates. Your Listeners Will Never Doodle. 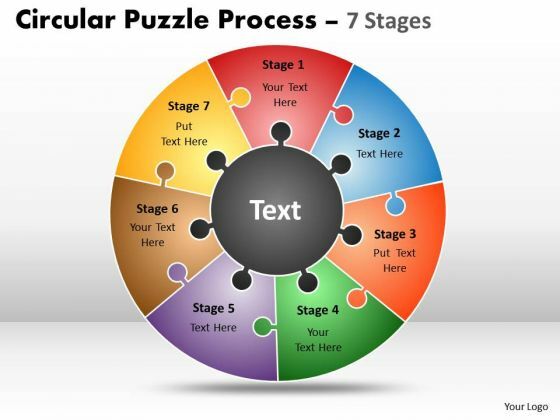 Our Marketing Diagram 3d Circle Puzzle Diagram 7 Stages Sales Diagram Powerpoint Templates Will Hold Their Concentration. 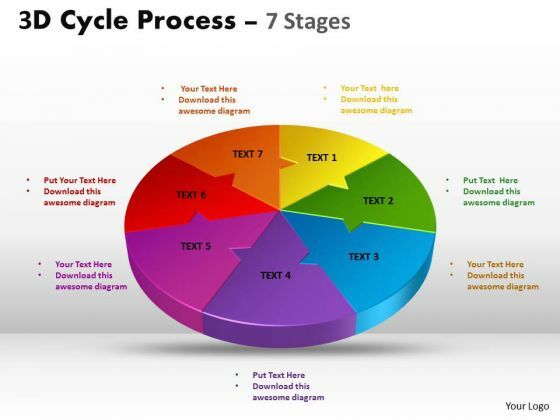 Establish Your Dominion With Our Consulting Diagram Circular Process 7 Stages Business Cycle Diagram Powerpoint Templates. Rule The Stage With Your Thoughts. Dominate Proceedings With Your Ideas. Our Consulting Diagram 3d Circular Process Cycle Diagram Chart 7 Stages Marketing Diagram Powerpoint Templates Will Empower Your Thoughts. Establish The Dominance Of Your Ideas. Our Business Framework Model 3d Cycle Process Flow Chart 7 Stages Sales Diagram Powerpoint Templates Will Put Them On Top. Doll Up Your Thoughts With Our Business Finance Strategy Development 7 Stages Circular Puzzle Process Business Diagram Powerpoint Templates. They Will Make A Pretty Picture. 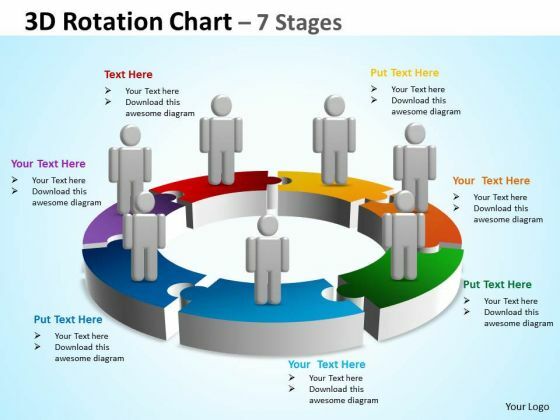 Get The Domestics Right With Our Business Finance Strategy Development 3d Rotation Chart 7 Stages Business Diagram Powerpoint Templates. Create The Base For Thoughts To Grow. Put In A Dollop Of Our Business Finance Strategy Development 3d Circular Chart 7 Stages Business Diagram Powerpoint Templates. Give Your Thoughts A Distinctive Flavor. Get The Doers Into Action. 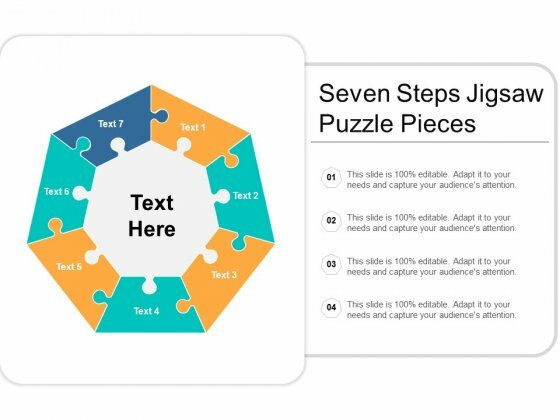 Activate Them With Our Business Diagram Circular Puzzle Flowchart Process Diagram Strategic Management Powerpoint Templates. Our Business Diagram Circular Process Cycle Diagram Chart 7 Stages Sales Diagram Powerpoint Templates Team Are A Dogged Lot. They Keep At It Till They Get It Right. Be The Doer With Our Business Diagram 3d Puzzle Process Diagram 7 Stages Mba Models And Frameworks Powerpoint Templates. Put Your Thoughts Into Practice. 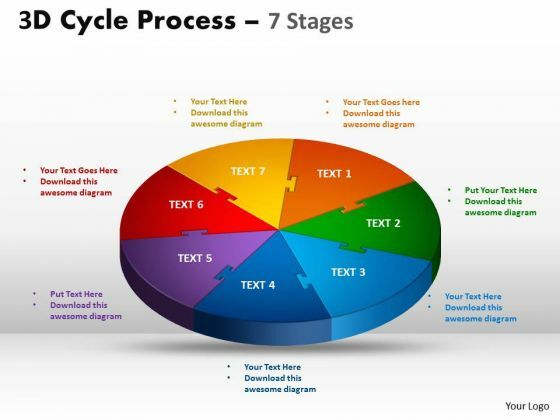 Document The Process On Our Business Diagram 3d Cycle Process Flowchart Stages 7 Style Consulting Diagram Powerpoint Templates. Make A Record Of Every Detail. 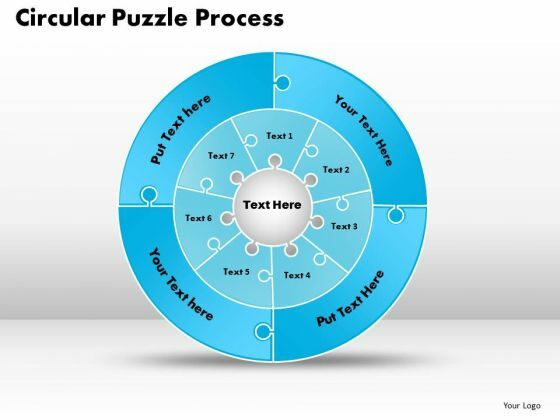 Document Your Views On Our Business Diagram 3d Circle Puzzle Diagram 7 Stages Slide Sales Diagram Powerpoint Templates. They Will Create A Strong Impression. 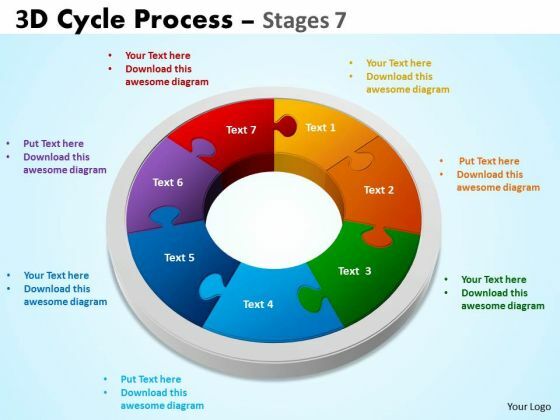 Get Out Of The Dock With Our Business Cycle Diagram Circular Puzzle Process 7 Stages Consulting Diagram Powerpoint Templates. Your Mind Will Be Set Free.